To all the meteor shower fans out there, we’ve created a 2016 meteor shower guide of the remaining nighttime shows for the rest of 2016! If any of you are interested in learning more about meteor showers, especially if you know nothing about them, here’s a quick run down: meteors, commonly referred to as shooting stars, are actually tiny bits of space garbage that fall into Earth’s atmosphere and their lack of aerodynamic shape causes them to burn up. That’s why we see dashes of light. By space garbage we actually mean bits and pieces of comets that have detached and now just float around in space. Earth’s orbit goes through the trail of each comet’s debris at around the same point every year, which makes it easy for us to predict when we will see the meteor shower. The name of each shower is determined by the constellation that the shooting stars will appear to be originating from. So brush up on your knowledge of constellations and astronomy or download a fancy app that will help you out with star knowledge! For most of these meteor showers, you will be able to see the spectacular burning space rock regardless of where you are, so long as there is minimal light pollution. Nonetheless, we will give you some ideas of where to go to watch just in case you can’t find your nearest State Park. “Draconides, October’s shooting stars” by StarryEarth in October 2011 via Flickr. On this night, go out in the early evening and look to the constellation Draco, the dragon. 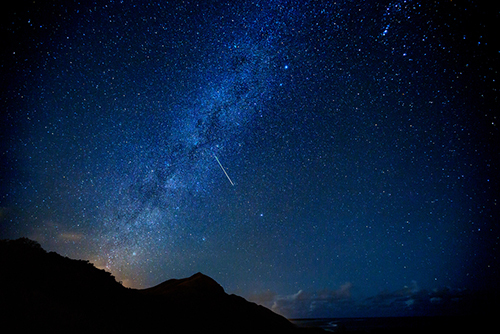 This sky-spectacle’s meteors dash about in every direction. The moon this year, however, may infringe on your meteor shower gazing but don’t worry, it’ll be a show nonetheless. 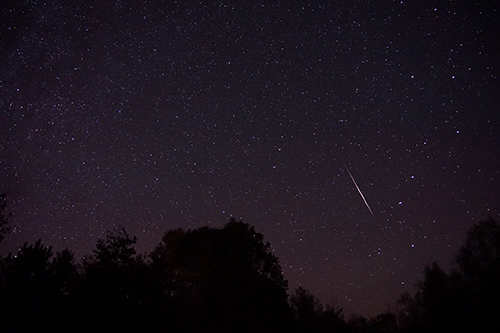 The best place to watch the Draconids is in the Northern Hemisphere. To those of us in the US, you can lay your blanket out or get a chair outside and enjoy the show. 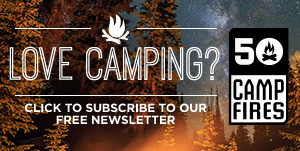 It’s super easy to find parks near you to watch from. You just want to find a place with as little light pollution as possible. A great option is the nearest state park. For example, if you live in Minnesota, you could go to Big Stone Lake State Park and watch from anywhere in the 26 mile long property. Hike to an open area and be ready for a show! “Orionid” by Mike Lewinski on October 21, 2015 via Flickr. 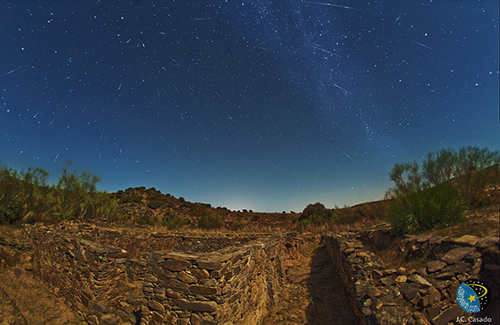 In the wee hours of this morning, before even the sun awakens, is your best time to see the most meteorites streaking through the sky. The mother comet, Halley, is responsible for the shooting stars we see. The shower is a result of fragments fallen off of her burning in our atmosphere, and is visible to us annually. Halley’s comet, however, is only visible every 75 years. The next time Halley’s comet will visit is predicted to be on July 28th, 2061 so make sure to mark your calendars, ladies and gents. If you live near Hyrum State Park in Utah, that might be a great way to watch the Orionids and not stray too far from home. To those of you not in that area, grab a blanket and go find your nearest State Park! “The Taurids continue” by Mike Lewinski on November 13, 2012 via Flickr. The South Taurids and the North Taurids are slow moving and infrequent in comparison to the other meteoroid showers. The South Taurids can be seen early November but are active for more than just the peak days given here. 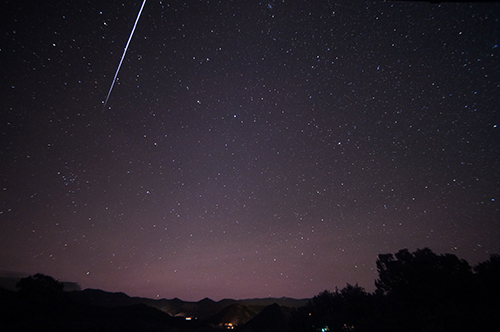 South Taurids meteorites may be less frequent, but they are so bright that oftentimes people refer to them as fireballs. 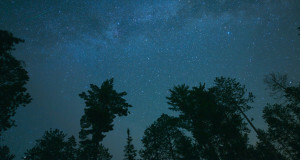 To those of you living in Alabama, go out to Sipsey Wilderness for a nice place to watch the stars falling. Don’t worry about going on a long trek if you don’t live near there though, this shower is visible pretty much anywhere with open skies! Go ahead and bring a blanket and maybe even a camera! 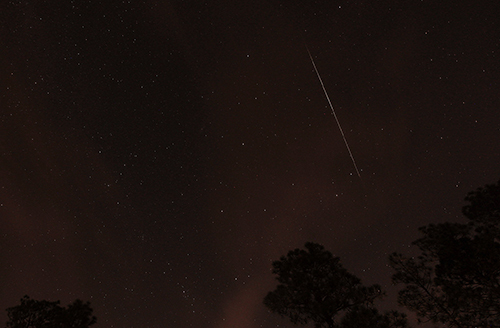 “Taurid Meteor Trail” by John Flannery on November 12, 2015 via Flickr. The North Taurids, like the South Taurids, is around for longer than just two days. The dates provided here are the projected peak viewing days. But if you’re busy then or sleep through it, you don’t have to shed a tear, you can just go out the next night. The North and South Taurids were not always separate. The differences in the placement of the shows in the sky developed over time and resulted in us labeling it as two different Taurids showers instead of one long one. A location option for watchers in Washington is Alder Lake, if you’re nearby! 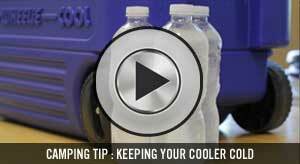 Again, you can watch from where ever you’re at! 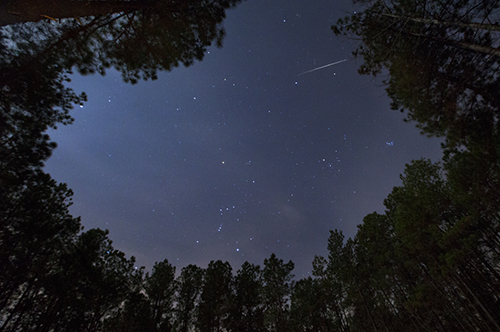 Wake up before the birds and witness the spectacular meteor shower called the Leonids. 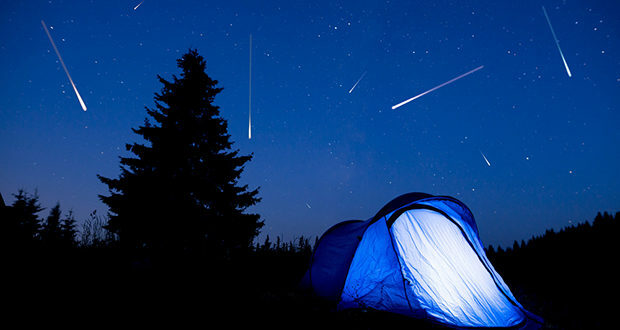 During the peak of the shower, there’s a chance you can see around 20 meteors per hour. 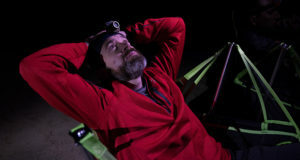 The Leonids are best visible if you’re laying down while looking slightly to the East. The meteors will look as though they are coming out of the constellation Leo the Lion. Unfortunately, this meteor shower will be during a waning gibbous moon, and that might provide extra light but it’ll still be beautiful nonetheless. Regardless of where you are in the world, the Leonids will be visible to you. If you live in Tennessee, you could go to Natchez Trace State Park, and hike to an area with little light pollution with a blanket and enjoy. No matter where you live, just going to a State Park will help you enjoy the show to its fullest potential. Set an alarm to wake up at 1:30 in the morning so you’re all set up for the peak of shooting stars at 2 am your time, regardless of your time zone. Unfortunately, this is yet another meteor shower that will have the moon to shine light down on you and make star watching difficult. But then again, if you’re looking to go on a date, the full moon could also add to the romance of it all. It all depends on how you look at it. Look in the general direction of the Gemini constellation and set up your seating. If you live near Wayne National Forest in Ohio, plan a camping trip around these dates and appreciate the nighttime sky during the Geminids! 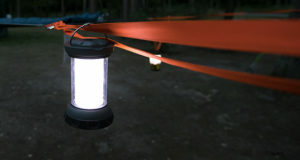 Otherwise, any wide-open place without much light is just as perfect! Next: What Does Labor Day Have To Do With The Outdoors?